In my view the original RX100 delivered one of the most compelling balances of sensor size, lens specification and body size to date, and the RX100 II manages to improve on it further with a bunch of upgrades including even better image quality. 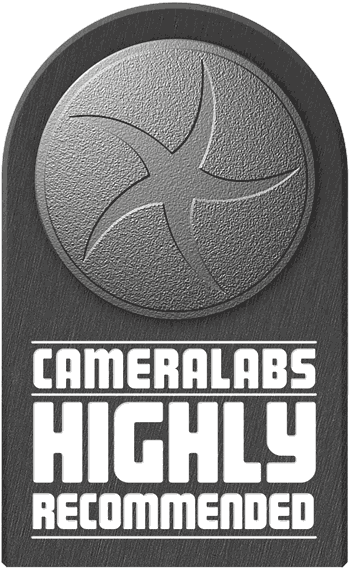 It's a corny phrase, but one of the best compact cameras just got better. The RX100 II is an easy camera to Highly Recommend. The Sony Cyber-shot RX100 II is a pocket-sized camera with a large 20 Megapixel sensor and a 3.6x Carl Zeiss zoom with a bright focal ratio. Announced in June 2013, it’s an upgraded version of the original RX100 launched one year previously. Depending on where you look, you may see the new model referred to as the RX100 II, RX100 M II or RX100 M2, but they’re all the same camera; I’ll refer to it from now on as the RX100 II. The new RX100 II shares the same 28-100mm equivalent zoom with an f1.8-4.9 focal ratio, 3in screen with 1229k dots and 10fps burst shooting as its predecessor, along with the same 20.2 Megapixel resolution, but there’s a number of important differences. The sensor remains 1in sized (making it 2.7 to 4 times bigger than those in most compacts this size), but it’s now a back-illuminated design which Sony claims delivers 40% greater sensitivity. Indeed it’s the largest back-illuminated sensor to date, although unlike the updated full-frame RX1R launched on the same day, the RX100 II retains the optical low pass filter. The screen remains the same size and resolution, but now vertically tilts by up to 84 degrees upwards or 45 degrees downwards for easier composition at high or low angles. Sony’s also fitted the RX100 II with an accessory shoe that’s compatible with flashguns as well as electronic viewfinder and microphone options. The RX100 II additionally features built-in Wifi and becomes Sony’s first camera to complement it with Near Field Communications, NFC, to simplify the initial negotiation with compatible devices like Samsung’s Galaxy S3, S4 and Google’s NEXUS 4, 7 and 10. Finally, the 1080p movie mode now offers a 24/25p option in addition to 60p/30p or 50p/25p depending on region. The market for fixed lens compacts with big sensors continues to grow and the previous RX100’s compact dimensions and light weight gained it a very enthusiastic following; the new RX100 II will undoubtedly build on that, but other manufacturers are also doing interesting things with the format. In my review I’ve tested the RX100 II alongside Fujifilm’s latest retro-styled fixed lens compact, the X20, which features an advanced optical viewfinder and a small version of Fujifilm’s revolutionary X-Trans sensor. I’ve also compared it to Nikon’s COOLPIX A which sports a larger APS-C sensor and a fixed 28mm lens. Read on to find out which of these three fixed-lens models is best advanced compact for enthusiasts. From the front, the RX100 II looks the same as the original RX100 and in fact the overall size and appearance is almost identical. The most obvious clue to which model you’re looking at is the RX100 II’s new hot shoe, other than that the two are virtually identical. The dimensions of the new model are 101.6 x 58.1 x 38.3 – 2.4mm deeper than the older model but exactly the same in the other dimensions – and it’s 41 grams heavier at 281g including the battery and card. I described the original RX100 as a miracle of miniaturisation and the RX100 II is no less of one. Sony has managed to incorporate a flip-out screen and squeezed in a Wifi antenna into a body that’s a little bigger and heavier but, crucially, is still compact and light enough to fit in a jacket pocket. The Fujifilm X20 is a very different proposition. At 117 x 69.6 x 56.8 and weighing 353g including the battery and card it’s substantially larger and heavier than the RX100 II and isn’t really pocketable, unless you’re wearing a big coat. The X20’s big attraction isn’t compactness but its retro styling, something owners aren’t going to want to conceal, plus it has a viewfinder and many more physical controls. That said, it does have a smaller sensor than the RX100 II. The Nikon COOLPIX A is somewhere in between the two. It measures 111 x 64 x 40mm and weighs 299g, and though it wouldn’t be as much of a squeeze to pocket it as the X20, isn’t pocketable in the way the RX100 II is. The COOLPIX A lacks a viewfinder, but it’s interesting that of the three only the RX100 has a flip-out screen, a feature normally associated with bigger, bulkier models. As I mentioned earlier, the hot shoe marks the RX100 II out from its predecessor, in the middle of the top plate where previously was a plain flat surface looking like something was missing between the two lozenge-shaped holes for the stereo mics. These have been rotated 90 degrees and now sit either side of the hot shoe, but the top panel is otherwise unchanged, with the recessed on/off button, shutter release with zoom collar and mode dial to the left of the hot shoe and the pop-up flash to the right. The RX100 II name is printed in white on the top edge of the LCD screen, with the Exmor R, AVCHD and Cyber-shot branding in a more subdued bronze, a nice sophisticated touch. Moving on to the rear panel, though the screen now flips out, there’s nothing else to differentiate the RX100 II from its predecessor with the control layout remaining exactly as before – good news for upgraders who’ll feel right at home and won’t need to make any adjustment to their usual way of doing things. The RX100 II isn’t overly complicated in terms of physical controls with the control wheel used for exposure settings and four, push points to access display overlays, flash modes, exposure compensation (or Photo Creativity mode and Picture Effects in Intelligent Auto mode), and drive modes. The control wheel is surrounded by four buttons; at the bottom are playback and help system buttons and at the top a Menu and programmable function button. The dedicated movie record button is tucked in under the right side of the thumb rest, which prevents accidental operation without making it difficult to activate if you really mean it. And if you’re worried that the RX100 II is a little light on physical controls for a camera that offers fully manual operation, don’t forget that, like its predecessor, the main exposure control is the lens ring, which can also be programmed to a range of other functions. Moving on to the right side of the camera body, as before, the RX100 II has a USB port located beneath a flap on the right side. As well as transferring images to a computer the RX100 II can be charged via the USB cable and the port, now called a ‘Multi-terminal’ also functions as a connector for an optional wired remote control which will delight long exposure photographers. Below the Multi-terminal USB connector is a second door which covers the micro HDMI connector, sensibly relocated from the base of the RX100. The RX100 II takes the same NP-BX1 battery as its predecessor, which now provides enough power for 350 shots, a small increase on the 330 shots of its predecessor. It’s impressive that Sony has managed to improve on the performance, but that figure won’t take into account Wifi use, so if you plan to make more than casual use of the Wifi, it might be a good idea to carry a spare. Sadly the battery still isn’t an InfoLITHIUM type, so remaining power is indicated on the screen by means of a four-segment battery icon. The battery is charged in the camera, either with the supplied mains charger or by connecting the camera to your computer with the USB cable. While charging, a small orange LED in the centre of the on/off button is illuminated. The mains charger has an output rating of 1500mA which means it will charge the camera faster than if connected to your computer. Like its predecessor, the RX100 II has a built-in flash unit that automatically pops up when required; when you’re finished with it you simply push it back down into the body. The articulated arm on which the flash head is mounted extends it well away from the body, reducing the risk of red eye, and is flexible enough to allow bouncing off the ceiling (it’s not that powerful so it would need to be a low ceiling) by bending it back with your finger. In addition to auto you can force the flash off, set it to provide fill-in illumination and there are two slow-sync modes. The RX100 II’s built-in flash has a quoted range of 15 metres with the ISO sensitivity set automatically. That’s a little down on the 17.1 Metres quoted for the RX100, though I doubt very much that the unit itself is any different, it’s more likely that Sony has simply updated its figures to provide a more accurate guide. With flash ranges quoted using Auto ISO it’s always difficult to be sure of the exact range in the absence of figures or a Guide Number at a fixed ISO sensitivity. However, the improved performance of the RX100 II’s new back-illuminated sensor does mean you can use the flash at a higher sensitivity than its predecessor with similar quality results – and that effectively extends the range of the flash by around a stop or just under one and a half times the distance. So though the maximum quoted distance has been revised down a little, the increased sensitivity of the sensor more than makes up for it. The Fujifilm X20’s built-in flash has a quoted range of 7 metres at Auto ISO and the Nikon COOLPIX A 11.5 metres. Again, the Auto ISO makes comparisons difficult and while you can make a more realistic comparison by working out Guide Numbers assuming these figures are quoted using the maximum default Auto ISO sensitivity for each model, in practical terms even on the model with the most powerful flash and brightest maximum aperture, which is in all probability the RX100 II, it’s really only meant for fill illumination and closer subjects. For anything else you’ll need an external flash and the good news is that the RX100 II’s new hot shoe allows you to attach one. This isn’t just any old hot shoe but the same multi-interface hot shoe used on the RX1 and NEX-6 which can also take accessories including an electronic viewfinder and microphone adapter. The Sony RX100 II retains the 3 inch LCD screen of its predecessor, but in a move that will be universally welcomed it’s no longer fixed, but flips out and can be angled upward by nearly 90 degrees and downwards by 45 degrees. About the only reason against including a flip-out screen on a compact camera is the extra size and weight that’s inevitably involved, but the RX100 II is only 2.4mm deeper than the fixed-screen RX100 and though it is a little heavier, it’s a small compromise for what is, in my view, (pun intended) a big advantage. You can tilt the RX100 II’s screen to get a better view at extreme angles, but even for ‘normal’ shooting I find it can be more comfortable to shoot from waist level with the screen flipped up. You can also tilt the screen to keep the sun off, which is a useful thing to be able to do. In a missed opportunity, the screen hasn’t been upgraded to become touch-sensitive. So there’s no opportunity to tap to change focusing areas nor swipe and pinch images during playback. The only other criticism that I’d make of the screen is that it can’t be angled downwards when the camera is on a tripod, at least not if you use a quick-release plate, as the bottom edge extends downwards slightly. This isn’t likely to be a problem for many people, unless you often take high angle shots with a very tall tripod. You could also be critical of the RX100 II’s screen for not facing forwards for self shooting, but to do this the hinge would have to be more complex which would no doubt add to the camera’s size and weight. I think Sony has made the right choices and the screen adds a great deal for a very small addition to the size and weight. And let’s not forget, despite being substantially bigger and heavier, neither the Nikon COOLPIX A nor the Fujifilm X20 has a fold-out screen, though the latter of course has a built-in viewfinder. In other respects it’s the same 3 inch LCD screen with VGA resolution and 4:3 proportions as on the RX100. A small strip below the 3:2 full resolution image view displays exposure information. The RX100 was the first camera to use Sony’s ‘Whitemagic’ display technology first introduced on the company’s Experia P smartphone. Whitemagic adds a fourth white pixel to the red, green and blue matrix hence the increase in resolution from 921,600 to 1,228,800 pixels. It works automatically to adjust the display brightness, the benefit being either a brighter display or improved battery life. The RX100 also has a ‘Sunny Weather’ mode which increases the display brightness considerably and makes it easier to see outdoors in sunlight. Normally when you increase the brightness on an LCD display, the highlights are washed out and the contrast drops, but this doesn’t happen with Whitemagic and the result is a bright screen that really is a big improvement outdoors in bright sunlight. And if you really must have a viewfinder the RX100 II’s mutli-interface hotshoe now makes it possible to add one. The RX100 II is compatible with the same XGA OLED 2.36 million dot viewfinder accessory for the full-frame RX-1R. It’ll cost you more than half the price of the camera, so it probably isn’t an option that’ll be taken up by most RX100 II owners, but the FDA-EV1 is one of the best accessory EVF’s on the market and its good to have the option if you can afford it. The Sony RX100 II shares the same 3.6x optical zoom lens as its predecessor with an equivalent range of 28-100mm and maximum aperture of f1.8 – 4.9. The zoom runs from a respectably wide 28mm which is the same as the wide angle setting on the Fujifilm X20 and the fixed lens of the Nikon COOLPIX A. If you like a wider angle field of view look at the Lumix LX7 or the PowerShot S110 both of which start at 24mm. In terms of range, 3.6 to 4x is fairly typical and strikes a good balance which is ideal for landscape and interior photography as well as portraits, while keeping everything small, lightweight and portable. Here’s an example of the coverage in practice. An optional accessory allows you to mount 49mm filters. After the focal length, the most important specification of a lens is its aperture. A wide maximum aperture is good for low-light shooting and keeping the ISO value down for the best quality, of course, but combined with the larger sensor in the RX100 it should also allow you take shots with a shallow depth of field, something that’s been very difficult to achieve up to now. The RX100 II’s bright f1.8 maximum aperture closes quite dramatically, to f4.9 when you zoom in to the 100mm equivalent focal length, which is a bit of a shame as it compromises its ability to create shots with a shallow depth of field. That said, it’s the price you pay for compactness – zoom lenses that retain a bright maximum aperture throughout their range are bigger and bulkier, especially for cameras with bigger sensors. So what sort of depth of field can you expect from the RX100 II in practice? To find out, I made some comparisons between the RX100 II, Fujifilm X20 and Nikon COOLPIX A, and the results may surprise you. Below are two comparisons of the macro capabilities and depth of field characteristics of the three models. For the first I set the lens to the widest angle position and maximum aperture and got as close as I could to the subject. Getting in close doesn’t just allow you to capture larger detail, the depth of field also becomes much shallower. As you can see from the examples below, All three cameras allow you to get pretty close to the subject at the 28mm focal length. In its super macro mode the Fujufilm X20 can go even closer than the 1cm macro mode limit, but for this test the ordinary Macro focus mode, which has a 1cm closest focus distance was used. As you can see from the comparison below, all three models produce a respectable result with a nicely blurred backround, but the COOLPIX A is most blurred, follwed by the RX100 II, then the X20. To put it another way, the bigger the sensor, the blurrier the background. Despite its smaller sensor, the Fujifilm X20’s wider f2.8 aperture produces a slightly better result at the telephoto end of the zoom range. The worst of the bunch is the Nikon COOLPIX A. Its 28mm fixed lens not only renders the background almost as sharp as the subject, the wide angle perspective makes for particularly unflattering portraits. So if you were looking for a small camera which can blur the backgrounds on portraits, you’ll still be looking at an interchangeable lens model, like the smaller mirrorless cameras. I have some more shallow depth of field examples in my RX100 II sample images gallery. The Sony RX100 II has Optical steadyShot image stabilisation. Often on Sony compacts SteadyShot is enabled by default and there’s no way to turn it off, but it can be disabled on the RX100 II for tripod shooting or if you’re using fast shutter speeds and want to conserve power and extend the battery life. To test the RX100 II’s stabilisation, I zoomed the lens to its 100mm position and took a sequence of shots in Shutter priority mode at progressively slower shutter speeds with SteadyShot both on and off. As you can see from the crops below, SteadyShot enables hand holding at speeds down to 1/20th, a little over two stops slower than convention would suggest is safe without stabilisation. That’s a little disappointing given that most mid-priced compacts and in fact virtually any relatively recent model will manage at least three stops of stabilisation. The RX100 II’s small size and weight probably counts a little against it here and you might get better results by flipping up the screen and shooting from waist level. With a little luck, or practice you might also be able to get a steady shot at a 1/15; after 1/20, my next attempts were at 1/10 and none of them were sharp. 100% crop, 10.4-37.1mm at 37.1mm 160 ISO 1/20 Optical SteadyShot Off. 100% crop, 10.4-37.1mm at 37.1mm 160 ISO 1/20 Optical SteadyShot on. The RX100 II inherits all of the shooting modes of its predecessor including the traditional PASM exposure modes, two point-and-shoot Intelligent Auto modes and a raft of feature modes including stacking modes for low-light and HDR, conventional scene modes, Easy to use Photo creativity settings, Picture Effect filters and, of course, Sony’s famous Sweep panorama feature. The RX100 II includes a wealth of stacking modes designed to get optimum results in low light and from high contrast subjects. It’s no surprise that Handheld Twilight and Anti Motion blur modes are included as they’re standard on all but the most basic Cyber-shot models. Next up is auto HDR which automatically takes three shots up to 6EV apart and composites them to produce an HDR result. The RX100 II retains the Multi-frame noise reduction feature; like Handheld Twilight, MFNR is a noise reduction stacking mode, but crucially allows you to choose the ISO setting manually. I’ve included examples of Multi-frame Noise Reduction mode on my RX100 II noise results page. Below I’ve included examples of the Auto HDR mode. While many system cameras and DSLRs provide an auto bracket feature, the ability to combine images in-camera to produce an HDR composite is a real bonus for those who have neither the time, expertise nor inclination to create HDR composites using software. I should make it clear here that the HDR results produced by the RX100 II are not the heavily tone-mapped creations that we’ve all seen online (for those you can use the HDR Painting Picture Effect), but are aimed at increasing the recorded tonal range – in other words more detail in the shadows and highlights than you could get with a single exposure. The table above shows my high ISO noise test scene shot using Auto HDR at each of the 6EV intervals at 400 ISO. There are some limitations that might disappoint HDR aficionados. Only the 0EV frame is saved in addition to the HDR composite – you don’t get all the bracketed exposures; the RX100 II can auto bracket, if you want to do your own HDR processing, or just want to be on the safe side with your exposures, but only at 0.3 and 0.7EV increments for a three-frame burst. You can’t use Auto HDR in RAW +JPEG mode and the burst is limited to three frames. Despite that Auto HDR remains a very powerful and worthwhile in-camera feature. If you’re not keen on multiple exposure stacking modes, but still want to make the most of the RX100 II’s ability to record high dynamic range you can take advantage of the Dynamic Range Optimiser (DRO) feature. Auto DRO is enabled by default, you can manually select one of five levels, or switch it off altogether. The RX100 II also has a scene mode position on the mode dial providing access to 13 conventional scene modes which select the optimum exposure, focus, flash and drive mode settings for specific subjects. On a handling note, the choice of the lens control ring to select scene modes seems to be a case of using it because it’s there; the rear control dial would be a much better choice. The RX100 II retains the same movie modes as its predecessor with the addition of a new 1080p mode at 25 or 24 fps depending on region. It can also shoot full HD progressive video at resolutions up to 1920 x 1080 at 50 or 60fps depending on region. You get the choice of two encoding formats. AVCHD options are 1080p50/60 at an average bit rate of 28Mbps, 1080i50/60 at 17Mbps and 24Mbps with the new 1080p25/24 mode at either 24Mbps or 17Mbps. Switch to MP4 encoding and there are two further options, 1440×1080 at 12Mbps and VGA (640 x 480) at 3Mbps, both at 30fps or 25 fps depending on region. There’s one feature of the RX100’s video handling that I’m disappointed to see make it into the RX100 II. The zoom can be used during movie recording, but the digital zoom can’t be disabled, which is a real problem. Even if you disable the Digital zoom and Clear image zoom features from the menu, when you switch to movie mode – using either the mode dial or direct movie recording button, the digital zoom is activated. And it’s difficult to ignore because when the optical zoom reaches its limit, after a momentary pause the digital zoom kicks in. The on-screen zoom bar is divided into two so why not just stop zooming when you reach the end of the optical zoom? Easier said than done as the zoom continues for a fraction of a second after you release the rocker. With practice you might be able to pull it of consistently, but it’s a distraction you shouldn’t have to deal with and the sooner Sony drops this the better. Why not just provide the option to disable the digital zoom in the movie menu? You can apply some, but not all of the Picture effects to movies with the most notable (and disappointing) exception being the Miniature effect. The ones you can apply are Toy Camera, Pop Color, Posterization, Retro Photo, Soft High-key, Partial Color, and High Contrast Mono. While it’s a shame that the one effect you’re most likely to want to use, Miniature effect, isn’t allowed, to be fair, the COOLPIX A doesn’t have effects for stills, let alone movies and the Fujifilm X20’s advanced filters are for stills only. The RX100 II will also allow you to take stills during movie recording in all but the 1080p50/60 mode. Stills are recorded in 16:9 proportions at a maximum 17 Megapixel resolution with the option of smaller 4.2 Megapixel shots also on offer. It also has built-in stereo mics and a digital wind noise reduction filter, and in an improvement on the RX100 you can now attach an external accessory mic via the multi-interface hot shoe. You can use all of the RX100 II’s focussing modes during movie shooting the default being continuous AF. Tracking AF can be activated before, or during recording buy pressing the centre button on the control wheel once to activate tracking focus then a second time to lock focus on the subject. All of these clips were shot using the RX100 II’s best quality 1080p50 movie mode. For this handheld panning shot stabilisation was on in the default Active mode. The RX100’s best quality mode produces excellent quality video, no complaints there, but not being able to turn off the digital zoom creates real problems that render it almost unusable. It took me three attempts to get this shot, and I had to judge the exact moment to stop zooming before the indicator nudged into the digital zoom zone. It’s hard to get it right because the zoom keeps on going after you’ve released the rocker. Stabilisation was turned off for this tripod-mounted shot. Again the video quality looks very good and the RX100 II handles the exposure well. On this clip I’ve kept the zoom rocker pressed until the zoom stops and you can see what happens if you do this – there’s a slight pause, then the digital zooms kicks in at a faster rate, reducing the quality. This can’t be turned off so you need to look out for it every time you use the zoom, which is a nuisance. The RX100 II’s Exmor R sensor does a great job with this low-light interior producing a fairly noise-free result. Stabilisation does a good job and the continuous AF copes well with the changing scene and reflections. The original RX100 didn’t respond much to the changing light, but the RX100 II over-compensates a little when panning past the windows. This coffee cup clip tests the RX100 II’s continuous autofocus. With the camera zoomed in a little I’ve started shooting the close up of the coffee cup, then panned up to the bar and back again. The RX100 II performs as impressively as its predecessor, acquiring focus on the bar before the pan upwards is even completed. It’s a little hesitant on the return, but overall this is an impressive result. I’ve already mentioned the similarities between the RX100 II and its predecessor, similarly sized and with the same control layout so that anyone upgrading will immediately feel at home with the newer model. But it would be a mistake to suppose the RX100 II has nothing new to offer here. Firstly, there’s the flip out screen which makes composing shots an altogether more pleasurable experience. As on the RX100, the lens ring, used mainly for exposure control in PASM modes can also take on a multitude of other roles. In the PAS modes the rear control wheel mimics the function of the lens-mounted ring, which is a bit of a waste. It would be handy to be able to customise the control wheel function so that that it could be used for exposure compensation. Switch to manual mode and things behave more sensibly with the ring used for aperture selection and the wheel for shutter speed. The lens ring is customisable and you can assign it to one of a number of functions including White balance, Creative style, Picture effect, Shutter speed or Aperture, in which case it obviously no longer adopts an exposure control role appropriate to the currently selected shooting mode. You can also use it as an alternative zoom control and a new step zoom feature allows you to configure it so that, rather than the usual smooth zoom, it automatically zooms to a fixed point, with stops at 35, 50, 70 and 100mm. If you’re going to use the ring to zoom, this is the way to do it, not least because in the standard mode it takes several turns of the ring to get from one end of the zoom range to the other. The big disappointment is the step zoom function only works in stills shooting modes. You can use the ring to zoom for movies, but only in standard mode. And while it’s easier to avoid accidentally using the digital zoom if you use the lens ring rather than the zoom rocker, you end up with the equally frustrating problem of not being able to cover the full range with a single twist. I’d say zooming is one of the worst aspects of the RX100 II’s handling and while the new step zoom feature is a plus, its a shame to see Sony ignore the more fundamental problems. The RX100’s menu system was a breath of fresh air compared the long list menus of earlier Cyber-shots and is retained virtualy unchanged on the RX100 II. The function button acts a little like a customisable quick menu with up to seven positions for your own choice of settings – Exposure compensation, ISO sensitivity, White balance, DRO/Auto HDR and Picture effects are added by default, but they can be changed and you can add two more of your own. This effectively makes the RX100 and RX100 II the only Cyber-shots to offer a quick menu, hopefully this is a feature we’ll see rolled out to other models soon. The RX100 II becomes the latest Cyber-shot to gain Wifi connectivity. A built-in Wifi antenna allows wireless connection to a Smartphone and the RX100 II becomes the first Sony camera to also include NFC (Near Field Communication) for touch connection to a suitably equipped smartphone. At the time of writing, only a handful of smartphones and tablets were equipped with NFC, most famously including the Google NEXUS 4, 7 and 10, and Samsung Galaxy S3 and S4, but sadly not yet any iOS devices. As I don’t own any of these devices, I was unable to test NFC on the RX100 II, although Gordon enjoys using NFC on Panasonic’s cameras and his Galaxy S4. If you don’t have an NFC device yet though, don’t worry. You can achieve the same end result by manually choosing a Wifi network and entering any security by hand, it’s just that NFC will do that part for you with a simple tap. I tested with RX100 II with my iPhone 4S and, so I’ll concentrate on the iOS app from here on. To make the most of the RX100 II’s Wifi features you’ll need to download the PlayMemories Mobile app from the App store or, if you’re using an Android device, from Google Play. This allows you to view and download images from the Camera as well as control it remotely using your phone. Unlike the NEX-6, you can’t add features to the RX100 II by downloading and installing apps, the Wifi functions are limited to remote control and downloading. Even without NFC, connecting to a iPhone is fairly straightforward. You start the process by selecting Connect to Smartphone from the playback menu, then choose to select images either on your phone or the camera. If you decide on your phone the next step is to connect to the camera, which displays the SSID and password on its screen using the Wifi settings on your phone. Having done that once, your iPhone will remember the details and you won’t need to do it again unless you change the SSID or password details on the camera. Then it’s time to launch the PlayMemories Mobile app and select and transfer your photos. The default setting downsamples the images to 2 Megapixel size, but you can change this in the app settings which has an option to transfer the original file size. To remotely control the RX100 II using your iPhone or iPad the process is again initiated from the camera, this time by selecting Ctrl with smartphone from the shooting menu and making a peer-to-peer connection from your device. 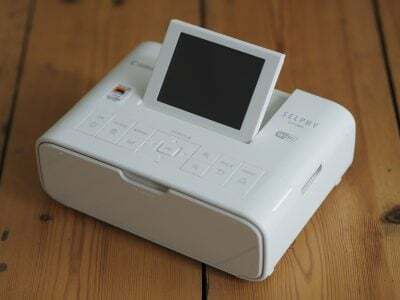 The PlayMemories Mobile app is able to tell what kind of connection the camera has initiated, i.e image transfer or remote control, and this time it provides the remote screen displaying the camera view along with some basic controls. Firstly, you can elect to shoot still photos or movies, the size and quality options will be those the camera was set to before remote shooting commenced – none of the camera controls operates during a remote shooting connection and the exposure is set automatically. You can adjust the zoom using controls on your phone screen, though, and a tools icon provides access to a small selection of other features including self-timer, flash mode and review settings. This last one allows you to save the image to your phone as well as to the camera card and then very handily provides a range of sharing options including email, Twitter, Facebook, and, in my case, Snapseed, and Evernote, though this is obviously dependent on what apps you have installed. One very positive thing about the social network sharing is that images are sent directly to Facebook and Twitter without the need to register with an intermediary platform as is the case with Panasonic and Canon. I was a little disappointed that Instagram wasn’t on the list, though you can get to it, as well Google Plus, via Snapseed. The other drawback is the sharing options are only available in remote mode, so you can only share images you’ve just shot remotely. It would be much more useful if you were also able to share from the Send to smartphone part of the app or, even better, directly from the camera, but this isn’t possible. Of course there’s nothing to prevent you sharing from your phone in the usual way once images have been transferred. One other feature that’s conspicuous by its absence is geotagging. The RX100 lacks a built-in GPS receiver and it would have been nice to have had the option of using your phone to keep a track log and adding positional data to photos on the camera. Having said that, neither the Fujifilm X20 nor the COOLPIX A offers built-in wifi; it’s available as an optional add-on for the COOLPIX A, but I don’t imagine too many people will bother with it. In a compact camera it really needs to be built-in. Like its predecessor, the RX100 II has four focus modes for stills and movie shooting: Single-shot AF, Continuous AF, Manual focus and Tracking focus. The AF modes provide three focus area options – 25-area multi, centre and flexible spot, plus there’s a tracking focus mode which can be activated directly while in any focus mode by pressing the centre button on the control wheel. The AF performance on the RX100 II is good, though not especially fast and it can struggle in poor light. Having said that, in optimal conditions there’s only the briefest of delays before the area indicators light up and you hear the confirmation beep. And though Area AF can struggle in low light – the church in which I carry out the high ISO noise tests is always a challenge for Sony compacts and the RX100 II is no exception – there are plenty of alternative options to turn to. Manual focus is one, and the RX100 II retains the focus peaking system which highlights in-focus high contrast edges. Manual focusing on any compact is something of a challenge and anything that makes it easier is to be welcomed. The other manually assisted focusing option on offer is DMF which stands for Direct Manual Focussing and allows you to manually fine tune the focus having first used AF to acquire it. The RX100 II also has what Sony calls Face Priority Tracking, which is essentially face detect AF. This is activated from the main menu and functions independently of the exposure mode, so you can use it in the PASM exposure modes as well as Auto. It also works in Movie modes, though it’s use is a bit limited as, in practice, I found it was slow to pick up on faces until they were quite close to the camera. Nonetheless it’s a useful additional tool to have. Despite the sensor upgrade, the RX100 II’s continuous shooting modes are unchanged from its predecessor. Speed Priority continuous mode can shoot at 10fps with focus and exposure determined on the first frame. There’s also a ‘normal’ continuous shooting drive mode that runs at 2.5fps with continuous focus and exposure adjustment. To test the RX100 II’s continuous shooting I fitted it with a freshly formatted 8GB Sandisk Extreme UHS-1 card, set it to Fine JPEG mode and set the shutter speed to 1/500. In Speed priority continuous mode the RX100 II fired off a burst of 13 frames in 1.2 seconds – a fraction faster than the quoted 10fps speed. After the first 13 frames the RX100 II doesn’t stop, but continues shooting at a reduced rate of around 2.5fps once the buffer is full. The RX100 II has no LED to show the buffer is writing to the card, but if you wait around four seconds you can shoot another 13-frame burst. If you start shooting sooner you just get a shorter burst before the RX100 II slows to the 2.5fps rate. The RX100 II’s continuous shooting performance compares favourably with the COOLPIX A, which can shoot full resulution images at around 4.5fps, but keeps on going for exactly 100 shots. The Fujifilm X20 offers four continuous shooting speeds ranging from 3 to 12fps, but the fastest is at a reduced 6M resolution. Its 9fps burst mode will shoot 9 large fine JPEGs before the buffer fills. 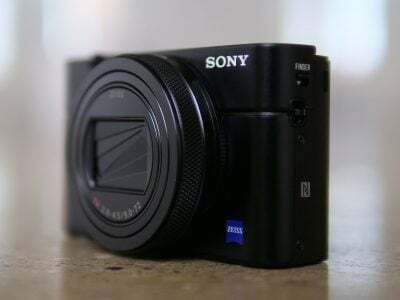 The Cyber-shot RX100 II is fitted with a 20.2 Megapixel ‘1-inch’ Exmor R CMOS sensor measuring 13.2×8.8mm. This is exactly the same size as the sensor in the Nikon 1 (CX-format) system and both share the same 3:2 aspect ratio. It’s also the same size and resolution as the Exmor sensor in the RX100, but the R denotes this is a back-illuminated sensor with the circuitry moved to the rear of the chip in order to improve its light-gathering properties. This results in improved low-light performance and less noise. Back-illuminated sensors have previously only been seen on compacts with smaller sensors, where the higher pixel density makes it advantageous to move the circuitry to the rear. The 1-inch sensor in the RX100 II is the biggest sensor to date to feature a back-illuminated design; Sony clearly thinks there’s a benefit even on the larger sized sensor and my high ISO noise test results bear this out. The maximum image size in the native 3:2 shape measures 5472 x 3648 pixels and two lower resolutions are available, along with 16:9 4:3 and 1:1 crops. Like Nikon’s CX-format, the RX100’s sensor size applies a 2.7x field-reduction to the lens focal length. This is smaller than the 17.3x13mm and 2x reduction of Micro Four Thirds sensors, as used in Olympus and Panasonic CSCs, or the 23.4×15.6mm and 1.5x reduction of APS-C sensors as used in Sony NEX CSCs and most DSLRs, including Nikon’s DX format models and of course the COOLPIX A. What all these sensors have in common though is a considerably larger surface area than those housed in traditional compacts. 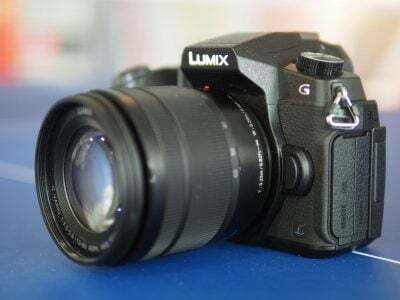 The 1/1.7in sensors in the Canon S110 and Lumix LF1 measure 7.4×5.6mm, which means even though the RX100 II and Nikon 1 models share one of the smallest sensors of their peer group, they still boast 2.8 times the surface area. Images can be saved as Fine JPEGs or RAW files. The average file size for Fine quality JPEGs is 3 to 6MB. The native sensitivity range runs between 160 and 12800 ISO. With Multi-frame NR enabled the RX100 II unlocks a 25600 ISO option. The shutter speed range in Program auto mode is 1 second to 1/2000 and 30s to 1/2000 plus Bulb in Manual exposure mode. To see how the quality of the Sony RX100 II measures-up in practice, take a look at my Sony RX100 II quality and Sony RX100 II noise results pages, browse my Sony RX100 II images, or skip to the chase and head straight for my verdict.